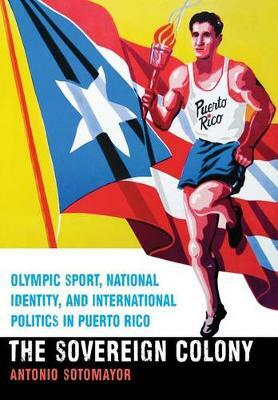 By examining how the Olympic movement developed in Puerto Rico, Antonio Sotomayor illuminates the profound role sports play in the political and cultural processes of an identity that evolved within a political tradition of autonomy rather than traditional political independence. Significantly, it was precisely in the Olympic arena that Puerto Ricans found ways to participate and show their national pride, often by using familiar colonial strictures-and the United States' claim to democratic values-to their advantage. Drawing on extensive archival research, both on the island and in the United States, Sotomayor uncovers a story of a people struggling to escape the colonial periphery through sport and nationhood yet balancing the benefits and restraints of that same colonial status. The Sovereign Colony describes the surprising negotiations that gave rise to Olympic sovereignty in a colonial nation, a unique case in Latin America, and uses Olympic sports as a window to view the broader issues of nation building and identity, hegemony, postcolonialism, international diplomacy, and Latin American-U.S. relations.